Creamy Cheesecake Fruit Salad is deliciously creamy, surprisingly light, and not too sweet. This is a very easy fruit salad to make, with fruit cocktail and other tasty ingredients! 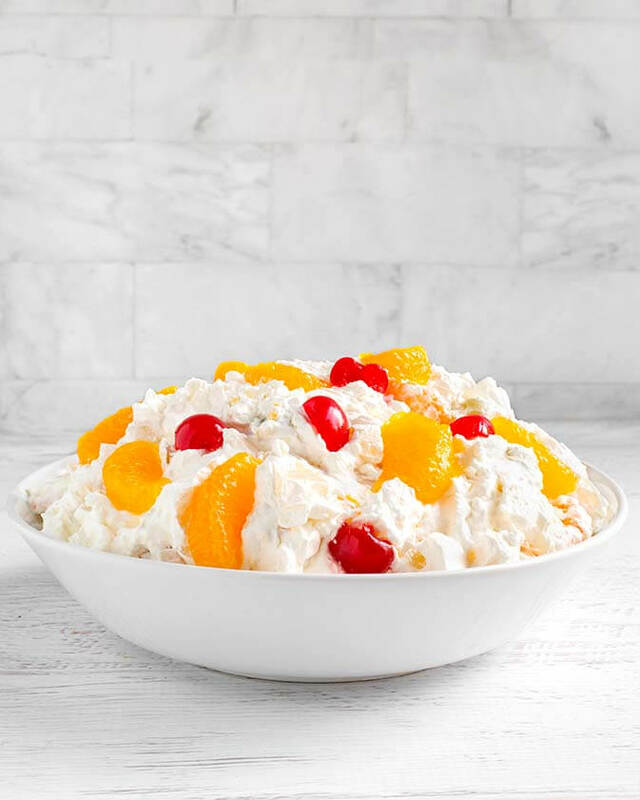 This is our favorite Holiday and special occasion fruit salad recipe. Today’s recipe is brought to you by Paul, my hubby! He has made this fruit salad recipe since I’ve known him. He said it’s a family recipe. When I first tasted it, I was surprised! I had never had a fruit salad like this before, and it was so creamy and had the tiniest savory hint to it. What was that? 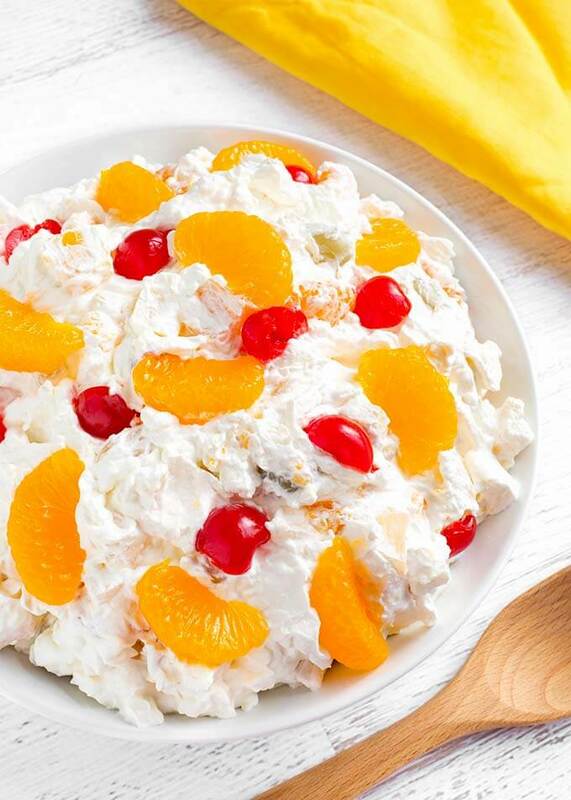 This Creamy Cheesecake Fruit Salad recipe has a can of Mandarin oranges in it, which brightens the flavor up. The surprise ingredient is cream cheese! At least for me that was a surprise. I really like the simplicity of this recipe, it only has 4 ingredients! 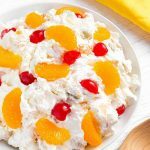 It is a wonderful Thanksgiving fruit salad recipe! With such a heavy meal, the lightness of this salad is so nice. Add the cream cheese to a bowl and mix it until smooth and fluffy. Add the whipped topping and fold it in. Mix in the drained fruit. 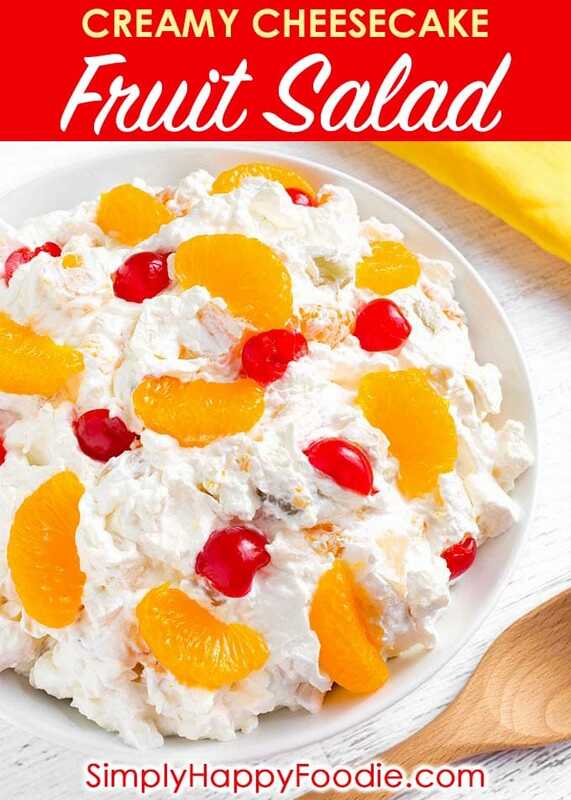 It’s hard for me to decide if this is a dessert salad, or if it’s more of a side dish fruit salad. I tend to treat it as a side dish because it isn’t overly sweet. 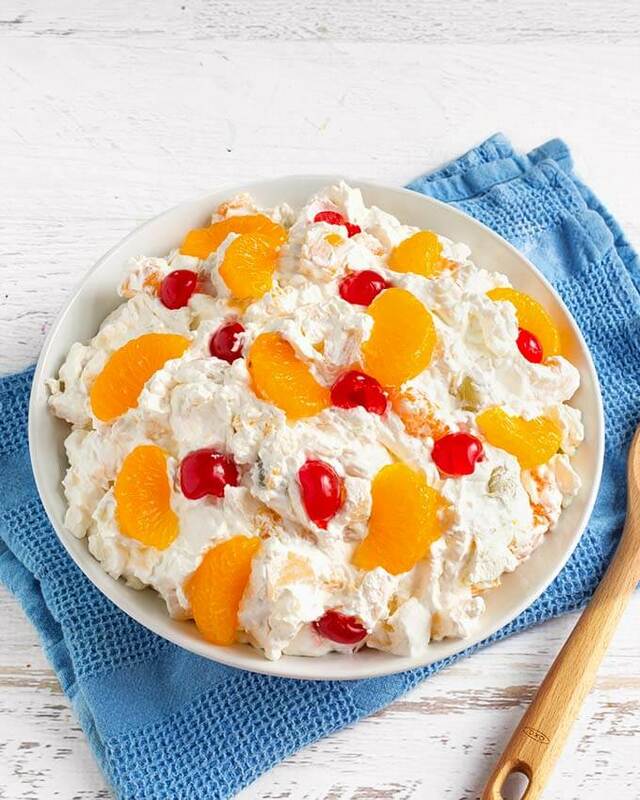 This fruit salad goes with anything on the Thanksgiving or Holiday table! Creamy Cheesecake Fruit Salad is deliciously creamy, and not too sweet. This is a very easy fruit salad to make, with fruit cocktail and other tasty ingredients! 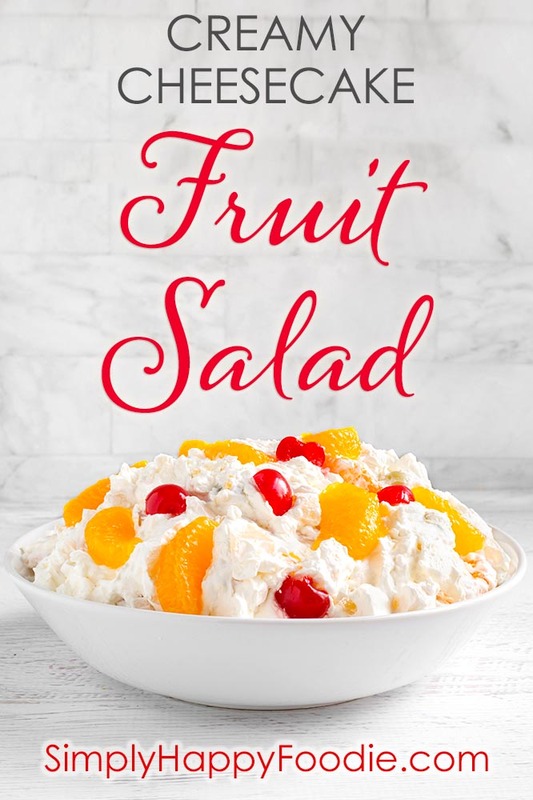 This is our favorite Holiday and special occasion fruit salad recipe. Drain the cans of fruit and let them sit in the strainer while you make the creamy dressing. The drier the fruit, the better. In a mixing bowl, beat the cream cheese until it is creamy and fluffy. Fold in the tub of whipped topping. Mix well. Add the fruit cocktail and 2/3 of the Mandarin oranges. Gently mix. Garnish with the extra slices of Mandarin oranges, and cherries, if you have any. This was the best fruit salad I have ever had! I’m bringing this to every family gathering! Awesome! I’ll let Paul know how much you like his recipe! Thank you!